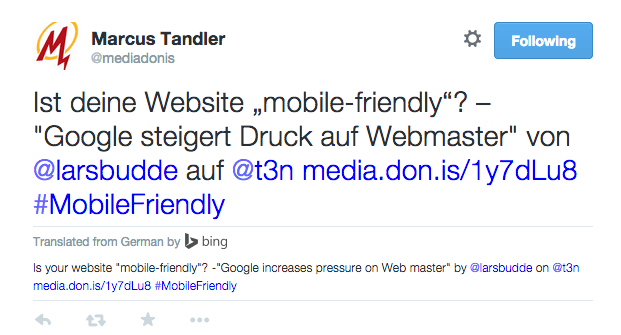 Twitter announced on Twitter that they've partnered with Bing to offer Tweet translation for over 40 languages. The thing is, they did have Bing translation prior, back in 2013 and then removed it without warning in August 2014. I guess Bing and Twitter renewed their deal and Bing is back to powering the Tweet translation. Here are more technical details on the feature.